Tolerance, together with its partner, Sweden's largest real estate company Mäklarringen, presented at the international exhibition in Sweden the best facilities located on the Mediterranean coast of Turkey. Exhibition visitors expressed interest in Turkish real estate and Tolerance's stand, because the quality of the apartments and villas in Turkey is traditionally high, and their prices are significantly lower than the prices of European counterparts. Tolerance guarantees to European clients the service of the highest level and expects Swedish clients to be its and its European partners guests. Tolerance, together with its Swedish partner, Mäklarringen, on 14-15 February 2015, took part in the international exhibition of foreign real estate in Stockholm. Exhibition KÖPA HUS UTOMLANDS gathered the leading players in the market of foreign real estate, focused on European clients. Operating in the Turkish real estate market for already 15 years, Tolerance has paid special attention to the selection of real properties and construction companies. Relying, as on its competitive advantages, on the high quality of services and detailed study of all the documents involved in real estate transactions, Tolerance has already won the trust of thousands of clients worldwide. This exhibition was a unique event for all participants of the tourist market and related segments. 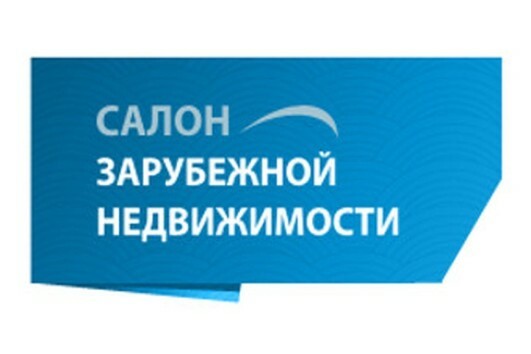 St. Petersburg gathered both those who directly organize outbound foreign tours, and those for whom foreign tourists are the target audience: many companies and real estate agencies are interested in reliable partners that can buy airplane tickets, arrange transfers and accommodate at hotels people coming into a country. Tolerance is a unique operator in the market of tourist and real estate services, because it is at the same time a real estate agency, a construction company and a Russian operator of outbound tourism. All this allows us to provide potential buyers of real estate with high-quality end product that includes everything from booking tickets and organizing familiarization tours to the registration of the title to real property and its management. 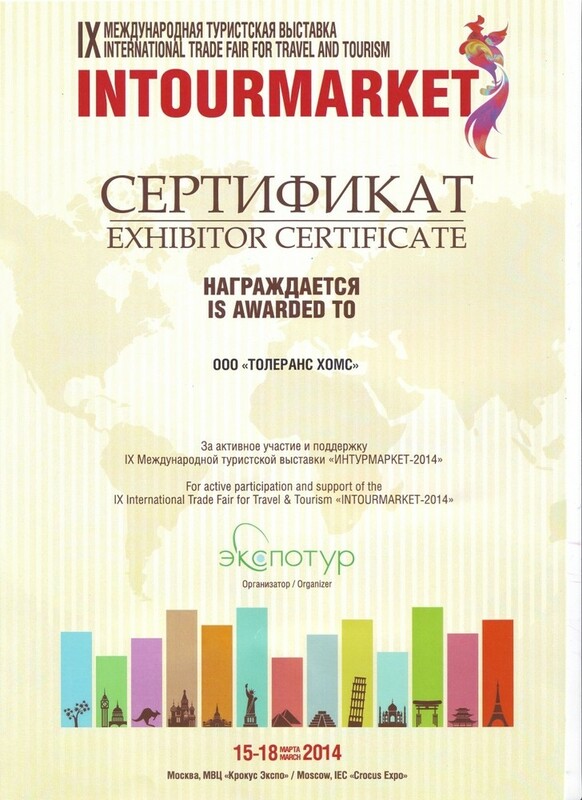 As was noted by many media, the real estate exhibition in Kiev exceeded all expectations. More than 60 companies from ten countries presented foreign real properties from the best developers. Exhibition visitors were surprised a lot by the affordability of luxury resort real estate by the sea and unique natural surroundings of the properties. Tolerance, backed by many years of experience with the best Turkish builders, presented the most modern residential complexes and villas on the Mediterranean coast of Turkey. Those who were interested could obtain advice of Tolerance's professionals on obtaining a mortgage, the visa regime, installments, insurance and the intricacies of registering the title to housing. As one of the largest events in the world of tourism business, this exhibition attracted hundreds of companies engaged in servicing the market of domestic and outbound tourism. 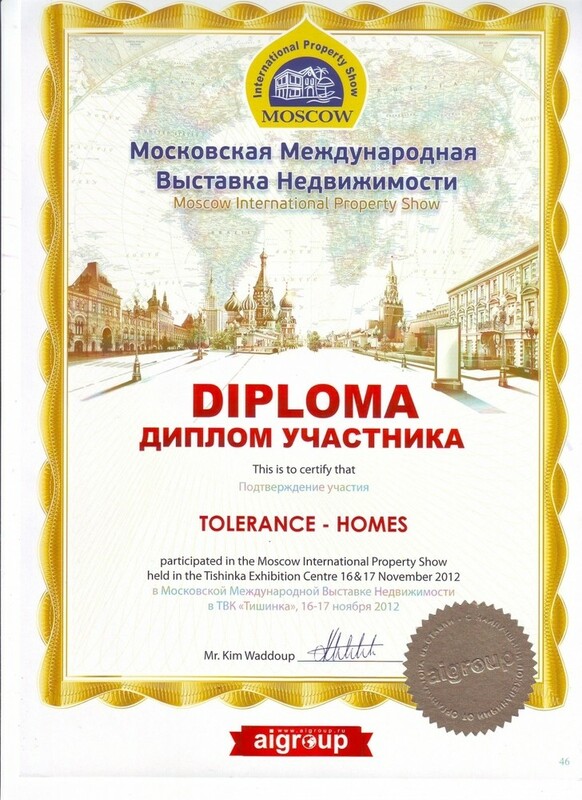 Tolerance was presented in section "International Real Estate’s the leader of the Turkish real estate market and as one of the most experienced companies with 15 years of experience. At the exhibition Tolerance presented its unique products: - vacationing in luxury class apartments and villas in a residential complex with the structure of a five star hotel; - a familiarization tour with staying to inspect real estate; - the acquisition of apartments and villas with the guarantee of their renting; - annual servicing of an apartment or villa during owners absence, and much more. Tolerance has successfully completed thousands of transactions and knows perfectly all the details, which foreign citizens should bear in mind when buying real property in Turkey. That is why Tolerance can be rightfully called one of the most professional real estate agencies. Today, Russians, when choosing real estate abroad, often pay attention to Turkey, Spain, Bulgaria and Montenegro. There are lots of offers in these countries, but an urgent problem persists – to choose a reliable partner in the real estate market. 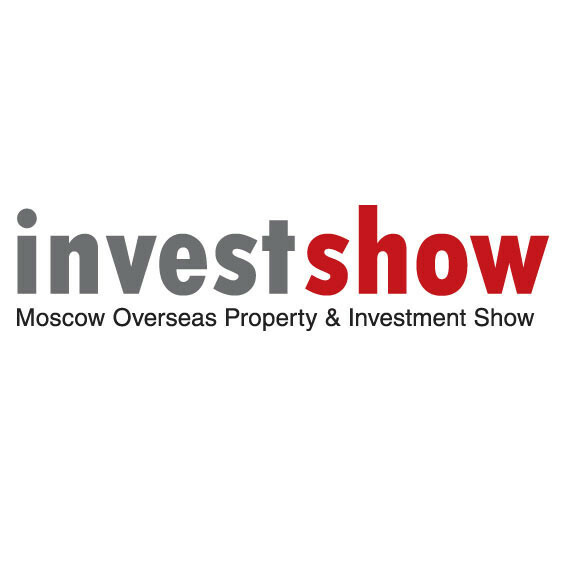 Moscow International Investment Show gathered at its site foreign real estate market leaders, which had already established themselves as flawless partners and consultants. From each country of interest for Russian buyers, they invited professionals in their sphere – companies and agencies with many years of experience that had earned clients' trust. 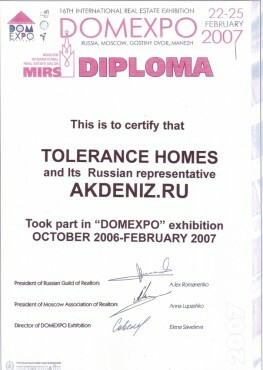 Tolerance, with more than 10 years of experience, is the leading expert in Mediterranean resort real estate in Turkey. Hundreds of transactions and the knowledge of the nuances of the Turkish real estate market made Tolerance the market leader. 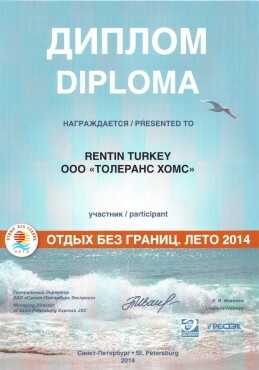 The Russian buyer has a unique opportunity to carry out reliable transactions in Turkey. The last exhibition "DOMEXPO" showed that the interest of Russians to foreign real estate is constantly growing, and one of the most popular directions among buyers is Turkey. 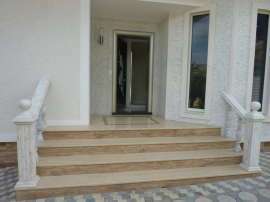 It also became apparent that buyers are well aware about the peculiarities of residential properties in Turkey and in the standards of construction. In addition, more and more clients pay attention to the legal protection of foreign nationals in transactions connected with real estate in Turkey. Tolerance, the leading agency in the Mediterranean region, provided the exhibition visitors with comprehensive information on the legal aspects of working with real estate and processing documents for foreigners. As the market leader, Tolerance agency pays special attention to verifying and preparing paperwork, it regularly consults with leading Turkish lawyers. It is owing to this that Tolerance won the clients' trust. 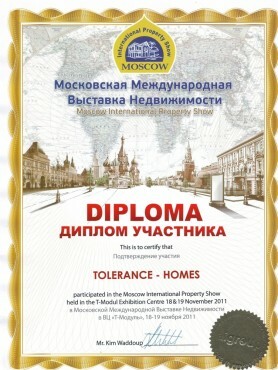 "DOMEXPO" is one of the largest and most prestigious real estate exhibitions in Moscow, it is held at Gostiny Dvor. By bringing together the market leaders, the exhibition provided an opportunity for potential buyers to get professional advice on the acquisition of real estate abroad. Real estate market participants were able to find new partners and discuss at the round table meetings the challenges faced by the industry, to consistently promote market transparency and provide better services to consumers. Tolerance, being the oldest company in the Turkish real estate market, presented to the guests of the exhibition the most recent projects in the construction sphere from the leading property developers in Turkey. 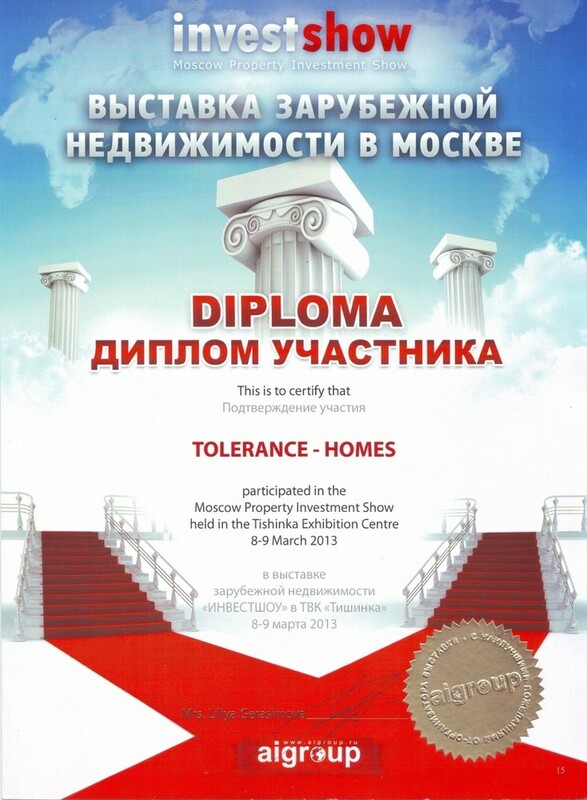 Tolerance participated in the international exhibition of real estate "INVESTSHOW 2013". 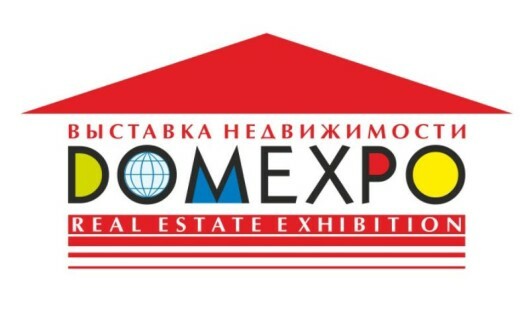 The exhibition organizers set a goal to give potential buyers and investors answers to the following questions: how to invest wisely in real estate abroad during a crisis, what are the peculiarities of managing foreign real estate, who is a reliable partner in the foreign real estate market in Europe and in the Mediterranean. Participants of the exhibition were the leading players in the real estate market of Turkey, Spain, Greece, Germany and other countries. Tolerance presented projects of the largest developers in Turkey, properties that are attractive for investors, properties with hotel infrastructure, which are, and it is guaranteed, in demand in the rental market. 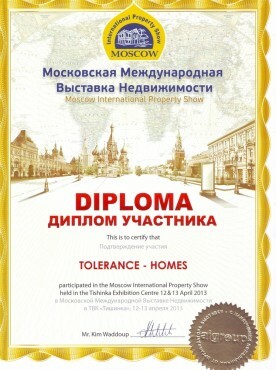 Moscow International Property Show PROPERTYSHOW 2012, Moscow, Russia Tolerance understands how important it is to present its projects to Russian buyers and investors. Having worked in the real estate market in Turkey for over 12 years, Tolerance has gained invaluable experience of working with developers, lending institutions and government agencies in Turkey. This experience has enabled Tolerance to become the leader of the Turkish real estate market and helped to provide professional real estate services of high quality. The acquisition of foreign real estate, which a few years ago seemed a pipe dream, has become reality! More and more Russians are turning their attention to overseas real property. How to make clear and transparent the real estate market in another country? How to give potential buyers reliable and complete information on the acquisition and investments in real estate abroad? 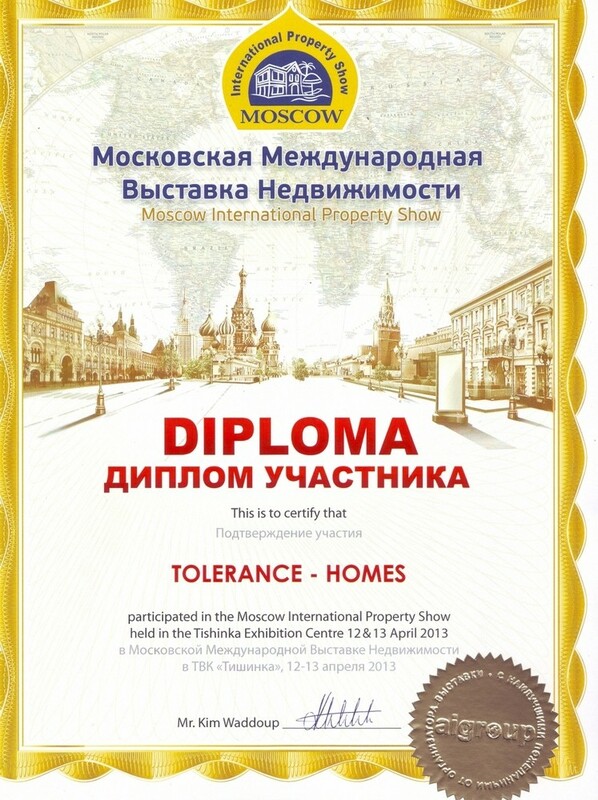 Moscow International Investment Show, having brought together real estate professionals from different countries, helped Russians to get first-hand information. Tolerance real estate agency is the leader and one of the pioneers of the Turkish market, it provides a full package of services for foreign buyers who have chosen Turkey. Tolerance's staff know all the nuances of work with real estate in Turkey – from land acquisition and construction to the leasing and professional management of residential complexes. Visitors of Tolerance's stand received detailed information about real properties and the procedure of buying property in Turkey. 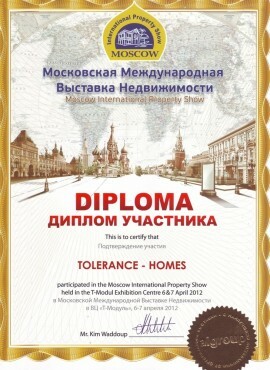 Moscow exhibition of foreign real estate is a high-end event for the participants of the foreign real estate market. They invite here only serious players with impeccable business reputation – development companies, real estate agencies and consulting firms. Tolerance presented to potential buyers the best, in the Turkish real estate market, construction projects with rich infrastructure. Tolerance has one of the largest databases of real estate, and therefore offers the widest range of apartments and villas from economy class to exquisite author's architectural projects. And thanks to its own network of agencies on the Mediterranean coast, Tolerance provides for clients a high level of service, wherever they are. From November 5 to 7, 2010, in St. Petersburg, in Sport and Concert Complex “Peterburgsky”, Tolerance presented their projects at X Salon of Foreign Real Estate, which was held as part of XXI Real Estate Fair. The exhibition showed a renewed growth of St. Petersburg inhabitants' interest to foreign real estate and to Turkish real estate in particular. Many buyers consider investing in Turkish property an investment not only into their vacationing, but also into their future, an opportunity to redistribute risks and to invest a part of their capital into a fast-growing, resistant to crisis and promising economy of Turkey. 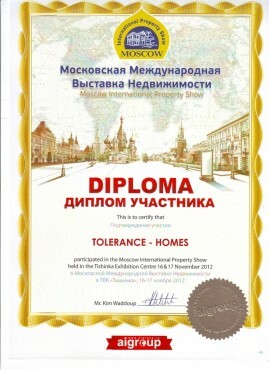 The organizers of the Moscow International Property Show set a goal to collect in one place real estate market leaders from different countries, professionals with impeccable reputation. They analyzed the markets of over 40 countries and invited 200 major companies. 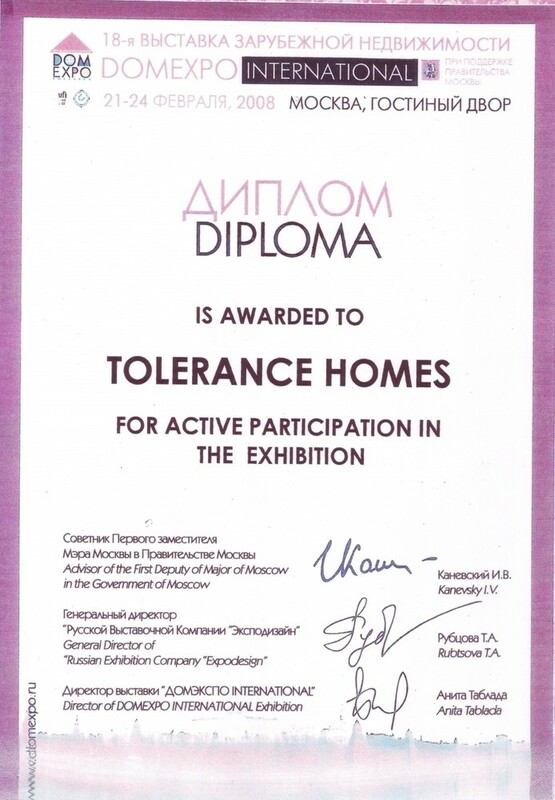 Tolerance, the leading real estate agency in the Turkish market, presented to Russian buyers the best projects in the segment of the resort real estate in Turkey. Hundreds of clients from different countries and more than 11 years of experience – all this allowed Tolerance to win priceless trust of customers and investors. Life has shown that potential buyers of foreign real estate have a lot of questions, fears and doubts related to the purchase and use of real estate abroad. The organizers of the Moscow International Property Show, understanding the need for the dissemination of information on these topics, brought together leading agencies and companies representing the real estate markets of Turkey, Spain, Bulgaria, Greece and other countries. Tolerance is the leading operator in the Turkish real estate market. Tolerance's team of professionals readily shared expertise with the guests of the exhibition, telling them about the nuances of purchasing real property in Turkey. Russians' interest in Turkish real estate is increasing every year, and this exhibition helped potential buyers and investors to find reliable partners and provide useful information. "INVESTSHOW" is a unique exhibition site where you can get first-hand analytical information on real estate markets. Leading construction companies, real estate agencies and consulting firms come here twice a year to find new partners and introduce to potential buyers and investors the economy of real estate markets. Tolerance helps to carry out transactions with real estate, including with the involvement of mortgage loans and installments. At the exhibition, Tolerance provided detailed advice on lending, long-term and short-term lease, the investment attractiveness of investments in real estate in various regions of Turkey. It is generally accepted that investing in real estate is not only highly profitable, but also one of the most reliable investment tools. In times of crisis and instability, you can't do without high-quality intelligence on this matter. 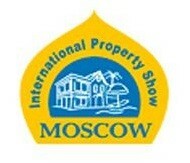 Moscow International Investment Show brought together leading professionals in the field of foreign real estate. Developers and realtors from Turkey, Spain, Montenegro, Germany, Great Britain and many other countries showcased detailed information on the acquisition and management of real estate abroad. The leader of the Turkish real estate market, Tolerance, serving thousands of customers throughout the world, has proved to be a flawless partner and a trusted advisor in the matters of the acquisition of Turkish real estate and investing in it. At the company's stand potential buyers could get acquainted with the database of real properties and get professional advice. How do you approach the acquisition of real estate abroad? How to find liquid housing and receive income from renting it? How to transfer at minimum cost money to pay for overseas property? When do you need to use lawyers' services, to protect yourself from worries and losses? 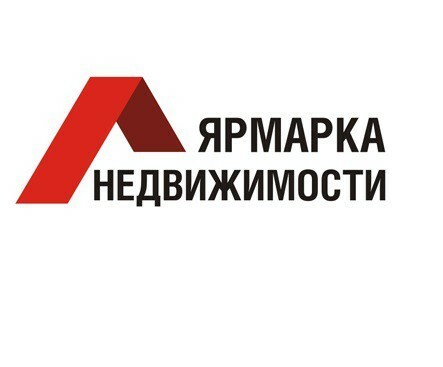 The organizers of the Moscow Investment Exhibition gathered the leading experts in foreign real estate to give potential buyers and investors competent answers to all these questions. Tolerance, whose baggage contains hundreds of completed transactions of the sale of real estate in Turkey, presented at the exhibition its information products. Tolerance's professional consultants shared with the guests of the exhibition useful and specific information about real estate in various regions of Turkey and about the procedure of the acquisition of the title to real property. Moscow investment exhibition INVESTSHOW 2012 is a place where potential buyers and investors obtain not only information about real property, but also information on the economic and financial experience of investing in overseas property. The exhibition showcased investment solutions in real estate sphere from more than 100 companies from 20 countries. Tolerance has operated in real estate in Turkey for more than 12 years. Being the leader of the Turkish real estate market, Tolerance has the entire spectrum of financial knowledge related to real estate transactions (bank transfers, mortgages, installments provided by the developers, rental yield and liquidity of the housing). This exhibition is one of the most important events for all players in real estate market. It collects in its halls the leading property developers, realtors and consultants. The exhibition featured properties in Turkey, Cyprus, Greece, Spain, Italy, Bulgaria and other countries. Tolerance, as the leading operator of Turkish real estate, presented the best properties in the Turkish Mediterranean coast. Having worked for more than 13 years in the Turkish market, Tolerance is engaged professionally in real estate management and presents multiple attractive investment products with guaranteed returns. Real Estate Fair is one of the leading specialized Russian real estate exhibitions. 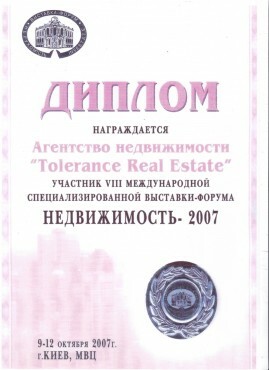 Tolerance acted in section "Foreign Real Estate". 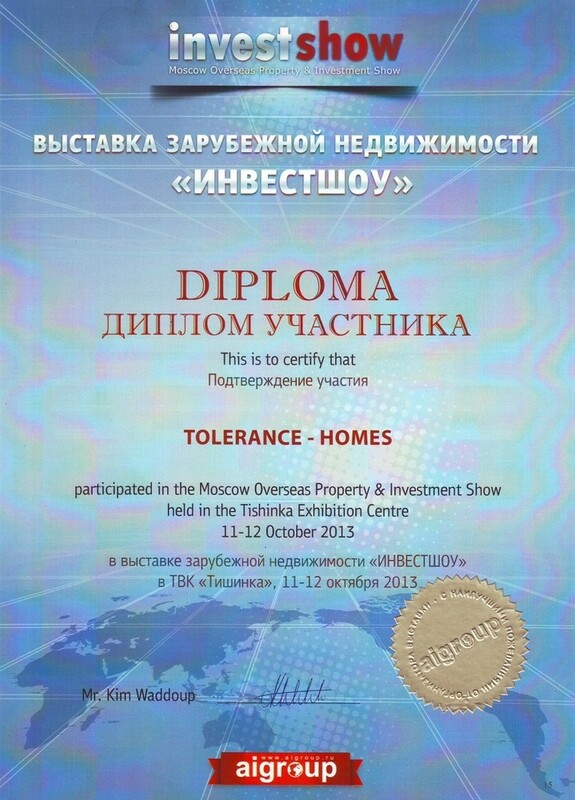 Given the constantly growing interest of Russian buyers to Turkish real estate, Tolerance presented at its booth the best own building projects, as well as the best projects from the leading property developers in Turkey. Overseas Property Exhibition in Denmark took place in one of the best European exhibition centers – in the "Bella Center" in Copenhagen. Tolerance, which was exhibiting the best properties of the Turkish Mediterranean resort real estate, aroused great interest among European buyers. Guests of the exhibition noted that in recent years the quality of Turkish real estate became much higher, while prices for apartments and villas, at the same time, remained affordable for the European buyer. 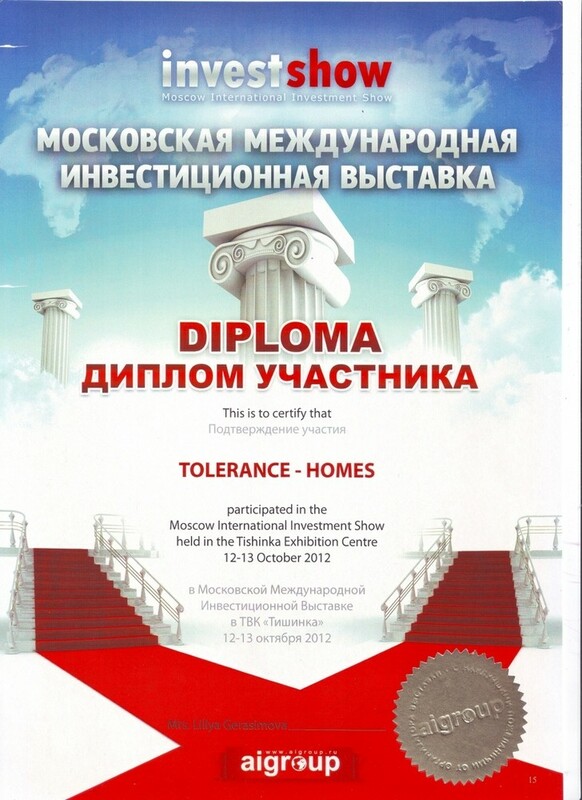 From 12 to 15 October in Moscow, in Gostiny Dvor, there was the largest Russian real estate exhibition "DOMEXPO". 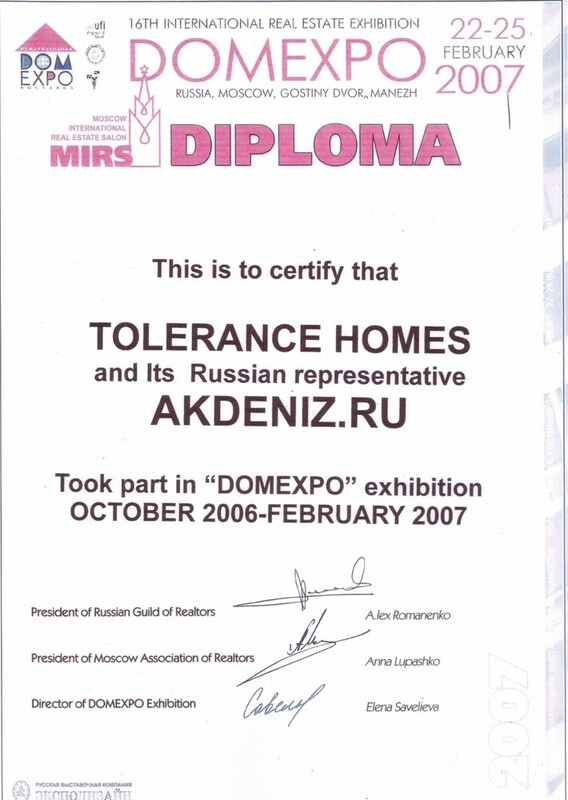 Tolerance real estate agency took part in it together with its Russian partner AKDENIZ.RU. We received a lot of positive feedback from exhibitors and visitors. Visitors showed special interest to Tolerance's own projects in Turkey – "Seit Bay Sitesi", "Tolerance Golf City", and "Tolerance Golf Apartments". 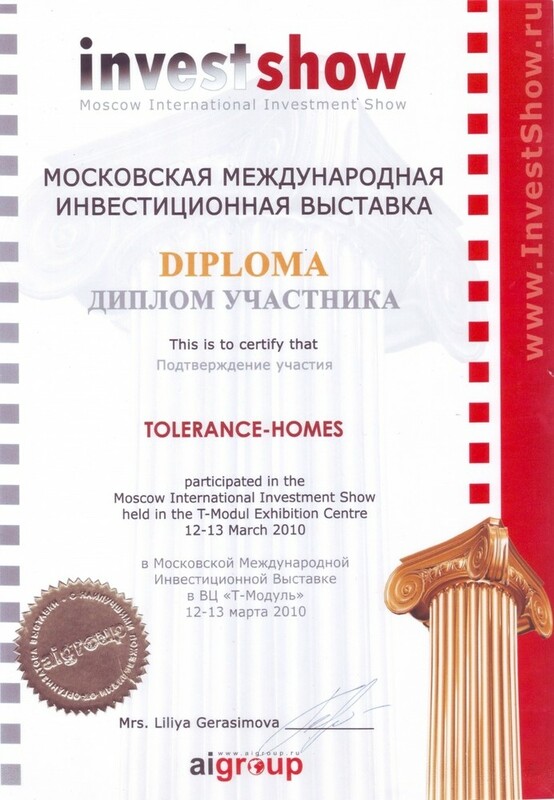 From 18 to 19 May 2007, Tolerance took part in the most popular among golfers exhibition "Golf Expo - 2007" in Moscow. On the stand Tolerance presented unique real estate market properties: luxury class residential complexes located in close proximity to golf courses in Belek, the elite Mediterranean resort. 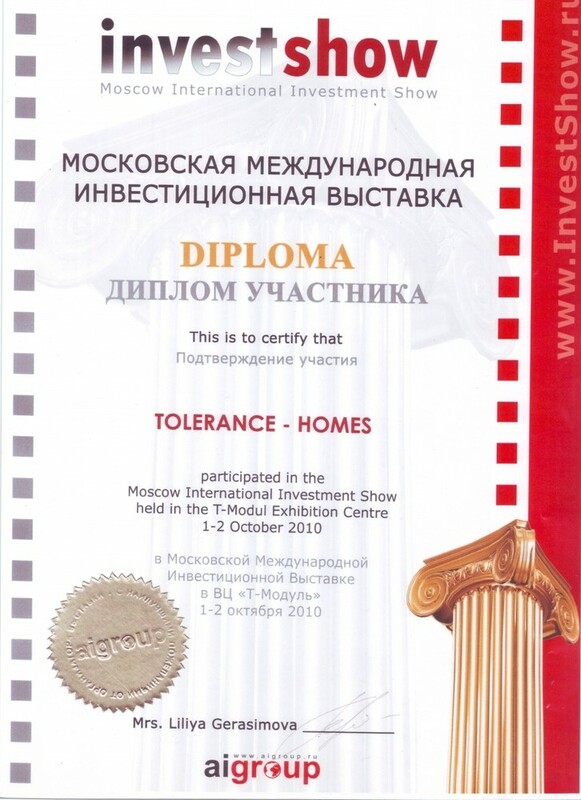 From November 9 to 11, 2007, Tolerance participated in the Real Estate Fair, as a part of which IV Salon of Foreign Real Estate (Sports and Concert Complex "Petersburgsky", St. Petersburg) took place. Being the leader in the Turkish real estate market, Tolerance presented to potential buyers a large database of properties in various regions on the Turkish Mediterranean coast. Visitors of Tolerance's stand could obtain expert advice on all matters relating to the acquisition of real estate by foreigners in Turkey. 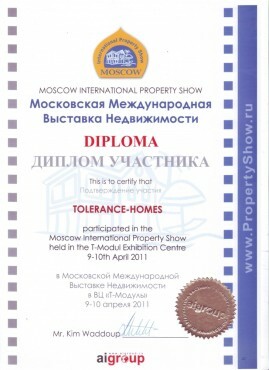 In March 2008, Tolerance participated in the Fair of Real Estate, as part of which V Salon of Foreign Real Estate (Sports and Concert Complex "Petersburgsky", St. Petersburg) took place. Considering the needs of Turkish real property buyers, Tolerance pays special attention to all the details of registering the title to housing, traces any changes in the visa policy of the country, as well as checks all the documents when preparing for a transaction. Such professional approach helped the company to win the confidence of both Russian and European buyers. From 14 to 15 November 2008, Tolerance participated in XI Moscow International Property Show, held in exhibition complex "T-Modul". Many visitors of the exhibition were interested in resort real estate in Turkey, especially with sea views or in close proximity to the beaches. Tolerance, as the leading agency in the Mediterranean region of Turkey, presented the largest database of properties that could satisfy the needs of any buyer. Thanks to Tolerance's special agreements with construction companies, all these properties can be purchased at the most favorable terms, including on credit or in installments. Tolerance, together with its Kazan representative, real estate agency "Happy House", took part in the fifth specialized exhibition "Real Estate Fair in Tatarstan", which was held in Kazan from October 3 to 5, 2008. The exhibition showed a high demand for overseas real property, which had been formed in recent years not only in the capital, but also in other regions of the Russian Federation. 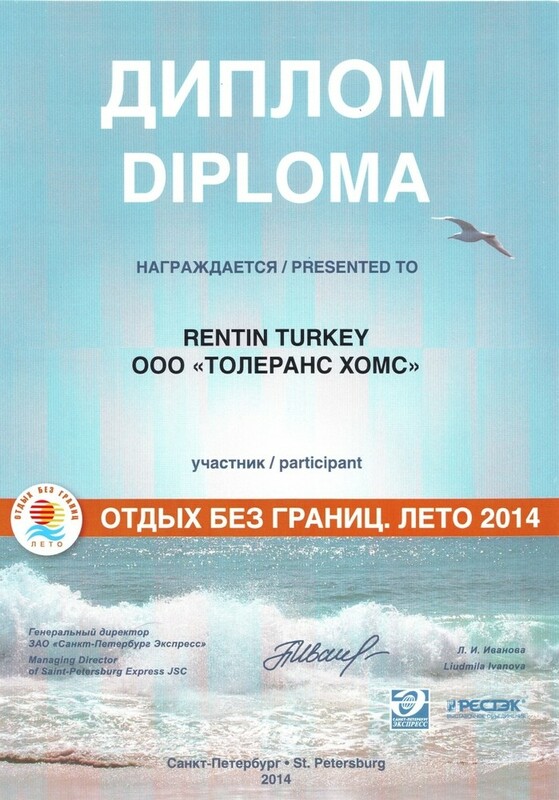 Many clients left applications to get information about real estate on the Mediterranean coast of Turkey. This year, residents of the northern capital had a unique opportunity to meet in one place all the major players of foreign real estate market. 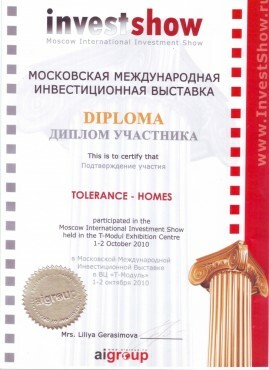 Development companies, leaders of real estate services market and consulting agencies, on 3-4 April 2009 met in St. Petersburg to present to Russian customers the latest offers in the overseas property market. 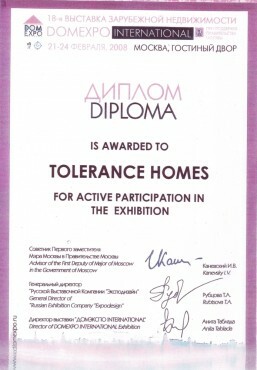 Tolerance, which is a constant participant of such exhibitions, presented its best properties from economy class apartments to luxury villas with sea views. Thanks to hundreds of successful transactions, confirmed by clients' reviews, Tolerance earned the trust of clients from around the world. Despite the volatility of the financial markets, investment in real estate is still considered as a promising investment among individuals and among the companies. To successfully invest in real estate, especially abroad, it is necessary to possess reliable information from credible sources. 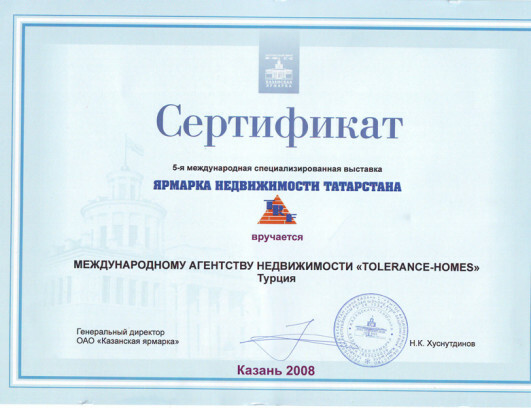 Tolerance, which has 9 years of experience in the Turkish real estate market, is an experienced consultant on the matters of liquidity of housing, investments with the aim to generate income from renting, purchase for resale, mortgage loans for individuals and companies, and in other matters affecting the financial side of transactions with real estate. At exhibition INVESTSHOW 2009, Tolerance stand visitors were able to get professional advice of our experts.